Nowadays, people can receive a great deal of information such as navigation, current traffic information or music from their smartphone while driving. 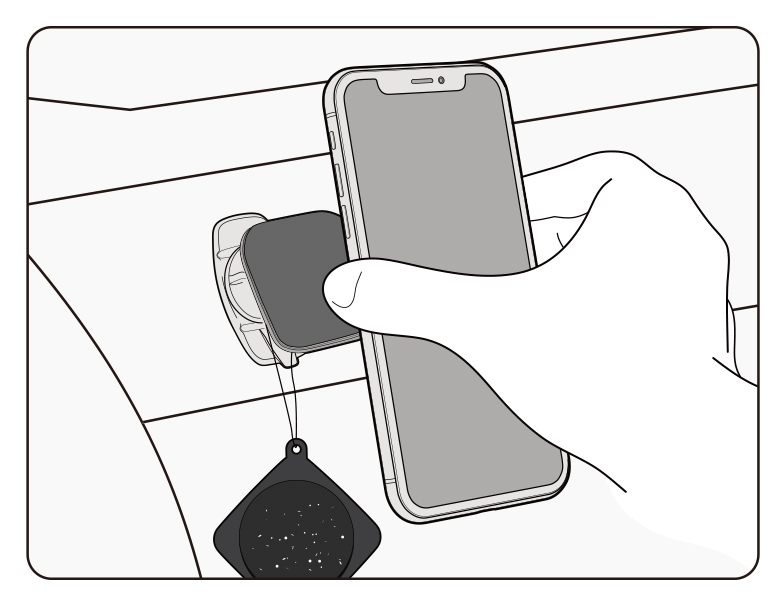 However, in the vehicle there is no convenient place for the smartphone itself. Sinjimoru Gecko adapted Sinjimoru car mount's simple design. You can place it anywhere without using any tools. 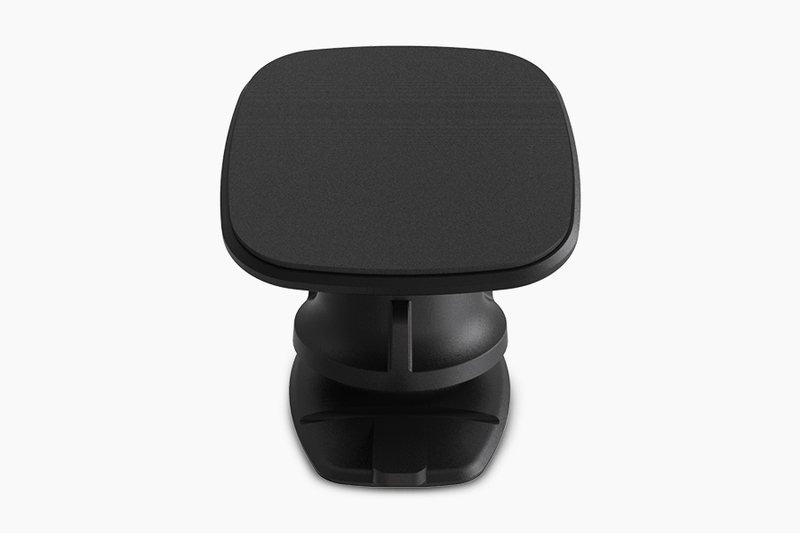 Gecko Car Mount uses micro suction pad, and with its adhesion only, it allows us to mount our smartphone conveniently. 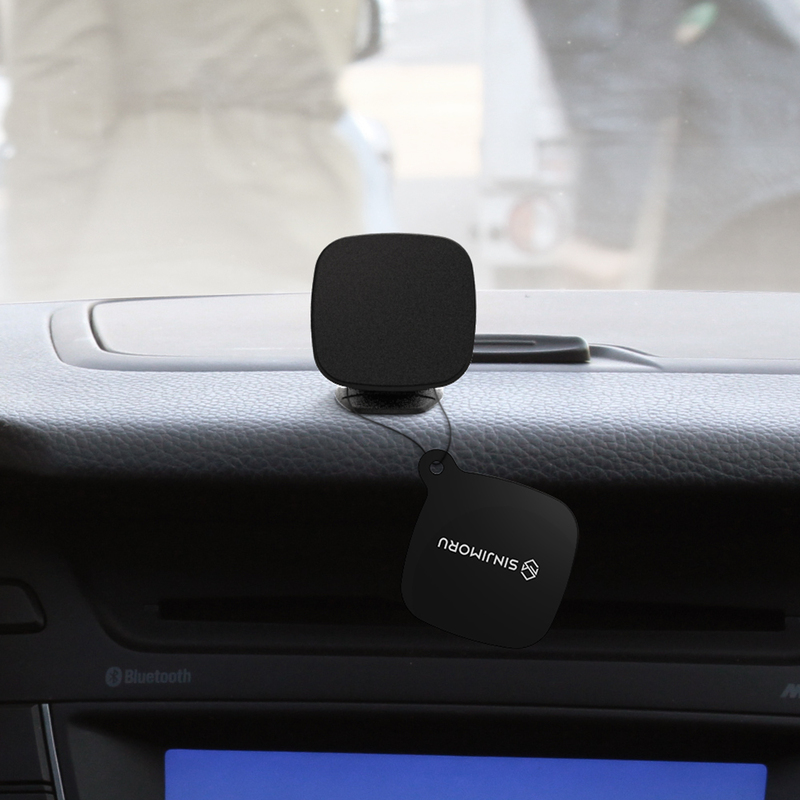 Sinjimoru Gecko Car Mount has a modern and minimal design, and it conveniently mounts phones by using micro suction foam instead of using magnets. It also protects your vehicle from scratches unlike other car mounts. Nano pad's upper side is filled with countless absorption pads which aren't visible to the naked eye. This strongly grabs the object by generating strong absorptive power. Both dust remover and Auxiliary Adhesive Film which strengthens the absorptive power, are included as assistant tools. 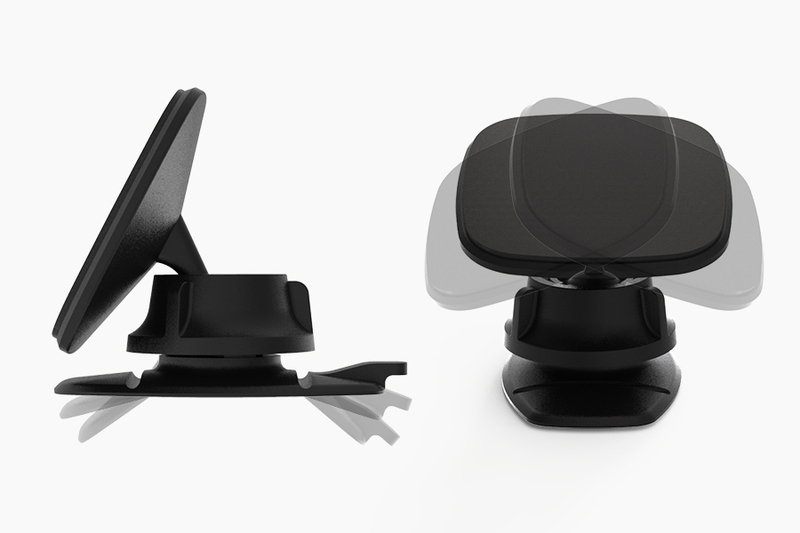 Gecko can be placed anywhere on the dashboard or center facia by adjusting the adhesive cradle. The ball shaped device also allows us to choose the most convenient angle. 1. 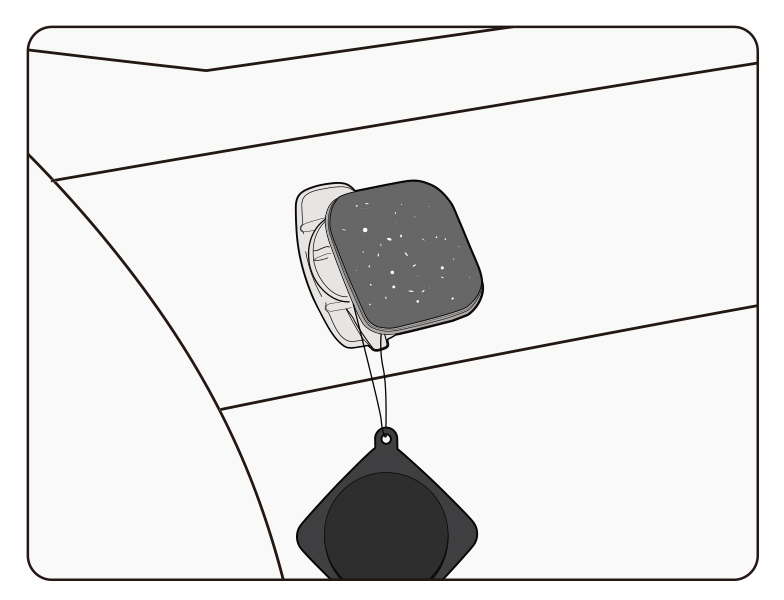 Remove the 3M tape film from the back side of the Gecko Nano Pad Car Mount. 2. Clean the dust where you want to place it, and then place the Nano Pad. 3. Place the smartphone on Gecko Nano Pad. 1. 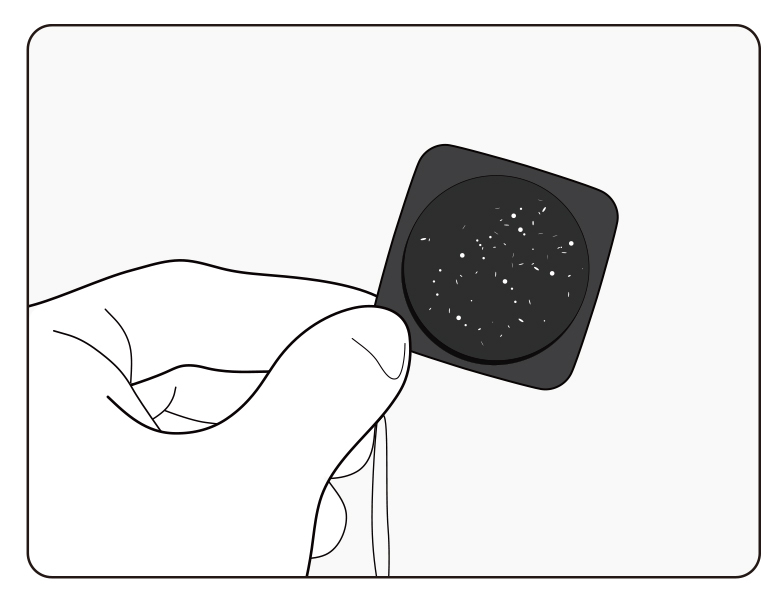 Remove the reusable paper from back of the Adhesive Strengthening Film. 2. Place it on the back of a smartphone or on the back of a phonecase. 3. Place on Gecko Nano Pad. 1. This is a Gecko Nano Pad with a decreased adhesion after usage. 2. 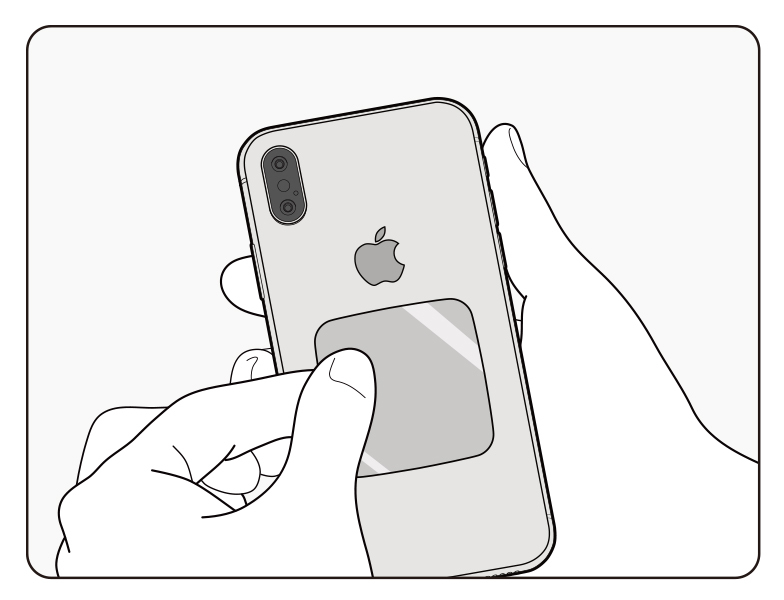 Remove dust from the surface with the Protection Pad. 3. Place your smartphone on a reusable Gecko Nano Pad surface. 1. Detach the protection pad which has been used for cleaning the surface of the Gecko Nano Pad. 2. Wash it lightly either under running water or with water on the washstand. 3. Place the clean protection pad on a Gecko Nano Pad. 1. The 3M tape's bonding strength on Gecko Car Mount becomes 50% of its max after 20 minutes of placement, 90% of its max after 24 hours of its placement, and it becomes full 100% in 72 hours of placement. 2. Please use the adhesion strengthening film when using on curved surface, leather, or seam surface. 3. Please keep the Nano Pad lease for its adhesion power, due to its decrease from dust attachments. 4. Please ask when the protection pad or Nano Pad has been damaged form outside factor.